Having healthy and beautiful hair is a dream of many. As hair-care technologies and treatments are getting more advanced, you must learn how to keep up. However, having beautiful hair is not an easy task. It takes patience and determination to properly care for and treat the hair well. Yet, there are ways that can help you know how to keep your hair healthy. If you want to know how to keep your hair healthy, you have to understand that changing your hairstyle is a good option. In your daily life, you are probably using particular hair accessories to help keep your hair in place throughout the day. These accessories such as hairpins, clips, and rubber bands can damage your hair especially when you do tight ponytails and braids. To avoid damaging your hair, limit the use of hair accessories and switch your hairstyle so your hair can loosen up a little bit. When keeping your hair healthy, it is best to know the proper way of shampooing and conditioning the hair. For you to have healthy hair, use the proper amount of shampoo for your hair and apply it on the scalp. As for the conditioner, it is best to avoid the roots and concentrate on the ends. While the shampoo works for the overall cleanliness of the hair, the conditioner works for keeping the hair moisturized. Knowing the proper way to shampoo can leave you with shiny and hydrated hair. You have probably always wondered how often you should wash your hair. Countless experts have offered their takes but the most common opinion is that you need not shampoo everyday. Shampooing everyday actually strips down your hair’s natural oils. This then weakens the natural protection of your tresses. To keep your hair healthy, you can just wash two or three times a week. If you really want to know how to keep your hair healthy, you have to understand that it is important to choose air-drying over blow-drying. The high heat coming from blow dryers can actually damage your hair and lead to split ends. When the heat from the blow dryer is applied to your wet hair, it can actually boil it and cause breakage. To reduce hair damage, you should limit the use of heated styling tools and go for a simple electric fan. For you to have healthy, shiny, and beautiful hair, you have to consume more protein. As you know, protein is the building block of a healthy body. If there is not enough protein in your diet, you will experience more frequently the breaking and falling out of your hair. Some protein-rich foods that you can eat include eggs, meat, nuts, fish, and beans. Hair stylists have their own secrets on how they can make your hair look beautiful, especially when you just have gotten out of the salon. One of their secrets is hair oil. Hair oil can actually regulate oil production on your scalp, thus letting it become more moisturized. Another option can be coconut oil. 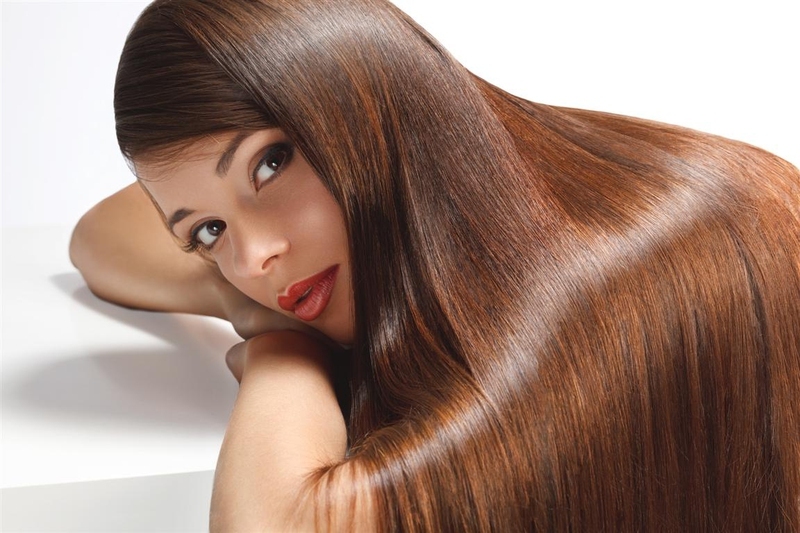 Leaving it on your hair for two to four hours and rinsing it after can help you have soft and beautiful hair. For best results, you can use a shower cap to really lock in the moisture. For you to have healthy and beautiful hair, remember to have it regularly trimmed. You may probably have noticed that in a span of just a couple of months, your hair has turned frizzy and dry. When your hair is trimmed more often, there is a lesser chance that they will become damaged. You also have to remember that having regular trims can actually improve hair growth, no matter how ironic that seems. If you want to know how to keep your hair healthy, you should start using organic hair products. From the many chemicals present in your hair products, your hair might feel stressed, thus leading to split ends. If you use chemicals when curling, straightening, or bleaching your hair, it might look thin and be prone to breakage. To avoid this, opt for organic hair products that only have a limited range of safe chemicals and are mostly made of natural extracts. By doing so, you are not only moving towards healthy and beautiful hair but also caring for the environment. To keep your hair shiny and beautiful, you have to limit your brushing. When you are rigorous in grooming and brushing your hair, the tendency is that your hair will become damaged and will break off. To lessen brushing, you can just reduce the frequency you brush your hair every day. Or you can just run your fingers through it if you think it needs fixing. Also, it is important to note that combs are best used when taking a bath while brushes are for dry hair. If you want to know how to keep your hair healthy, you have to know how to massage your scalp. Doing this will encourage blood circulation in your scalp. Good blood circulation can detoxify the scalp and help it be on its order. The best way to have healthy hair is to massage the scalp well while shampooing to get the blood flowing smoothly.